This is truly amazing and almost unbelievable! 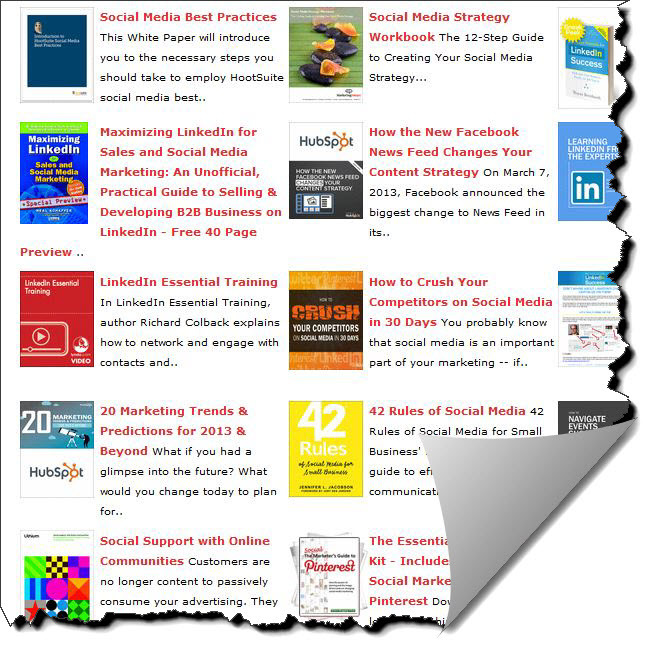 Over 900 social media eBooks, guides, white papers and more all available and complimentary. There are so many companies out on the web providing great educational information loaded with tips and tools and the stuff we need to stay on top of our social media game. Sites like Hubspot, SeoMoz, Mashable, SocialMediaExaminer etc. The challenge is finding the content, or waiting for it to come to you from hundreds of available sources you’ve previously created and established. SocialMediopolis has put together a great single resource with a variety of content for you social media entrepreneurs and destined to soon be experts. You’ll want to bookmark this one and share for sure! This is without a doubt, one of the better “Social Media Goldmine’s” I’ve encountered and I strongly encourage any readers that stumble across this post to take a serious look at what’s available from this site and resource. I guarantee you won’t be disappointed and promise you’ll find more than you’re looking for and need.